We pledge to serve our clients with honesty and integrity while striving to provide the highest degree of professional competence and customer service available in the marketplace. Knowing that your life could depend on the gear you use we will consistently provide only proven gear and equipement of the highest quality. It is our goal that the services and equipment we provide our clients will contribute to the success of your organization or unit, the completion of your training and mission objectives and maximize the preservation of life. JUNE 2000: Tactical Advantage was founded and registered its trade name in the state of New Hampshire with a primary focus on supplying gear and equipment to the law enforcement special operations community. JUNE 2002: Tactical Advantage expands product offering to include military field gear, law enforcement duty gear, police department operational equipment and supplies. JANUARY 2003: Tactical Advantage incorporates in the State of New Hampshire remains a privately held company. JUNE 2003: Tactical Advantage Online Store goes live with it's e-commerce enabled web site which continues to expand in size and scope on a continual basis. AUGUST 2004: Tactical Advantage registers and is licensed as an Armed Security Services Agency in the State of New Hampshire. 2006 and Beyond: As we continue to serve our law enforcement agencies countrywide and support our troops throughout the globe, we will continue to cultivate and expand our armed security services and training curriculum. 2013: Tactical Advantage sets a new annual sales revenue record. 2015: Tactical Advantage exceeds it's previous 2013 sales record. We thank you all for your continued support. 2017: Tactical Advantage begins phasing out all non-U.S. made products from our inventory reinforcing our commitment to U.S. companies and to U.S. made goods. This process is expected to take a couple of years to complete. Tactical Advantage, Inc. does not warrant that a person may legally purchase, possess, own or control specific items offered on this website according to federal, state or local laws. These items include, but are not limited to: body armor, night vision equipment, knives, machetes, batons, restraint devices, riot control equipment, crime scene processing equipment & supplies, certain weapon accessories, certain non-lethal & chemical spray devices, certain medical devices. A person placing an order on this website warrants that he or she is an adult (being at least 18 years of age or older) and that the item(s) being purchased are under no legal restrictions which would prohibit such person from ordering, owning, possessing or controlling these items under applicable federal, state or local laws. Further, certain items cannot be sold to minors, convicted felons, those convicted of a misdemeanor crime of domestic assault or those chemically dependent. Additionally, to help ensure the safety of those on the front lines we restrict sales of certain products to military and law enforcement personnel only, these products are clearly marked as such. Any person who purchases a product on this web site with the - MILITARY or LEO ID REQUIRED - designation will be required to furnish a valid copy (scanned or faxed) of their military or law enforcement credentials before your order can be processed and released for shipment. To protect our customer's sensitive personal and financial information the Tactical Advantage, Inc. Online Store supports up to 256-bit Secure Socket Layer encryption. This Web site is secured with a GoDaddy Extended Validation SSL Web Server Certificate. The Extended Validation SSL Certificate not only ensures the integrity of sensitive customer information, but also validates the credentials and legitimacy of our company. A vetting process is required in order to receive an Extended Validation Certification. Our security certficate can be verified by clicking the Go Daddy Secured logo located on the left side menu of this web site. The security of all the information regarding your order is very important to us. SSL technology encrypts your order information to protect it from being decoded by anyone other than Tactical Advantage, Inc. We have taken important security measures to protect your personal information from unauthorized parties. Any page on this web site that asks you for personal information is highly secure. Our secure servers protect your information using advanced encryption and firewall technology throughout the ordering process. We collect no information about our users that is not supplied voluntarily through web site user registration, shopping cart orders or e-mail. Any information collected in this manner is not shared with any entity outside Tactical Advantage, Inc. with the exception of information sent to our vendors that may be necessary in processing your order or in the event we are prompted to cooperate with any U.S. law enforcement agency. We do not sell or reveal user information to anyone. We may at times collect anonymous tracking information to gauge usage patterns and the popularity of specific areas of the site. As with all other information, these data do not leave this site. These items gather no personal data and have no effect on site use or navigation. We do not conduct email advertising campaigns to our customers and we will not email or call you unless you have specifically requested us to do so or the contact is directly related to the processing of an order that has been placed through this web site. The sale, transfer, transportation, or shipment outside of the U.S. of any product prohibited or restricted for export without complying with U.S. export control laws and regulations, including proper export licensing, documentation or authorization, is strictly prohibited and may result in civil penalties and/or constitute a federal crime. Tactical Advantage, Inc. will not engage in any transaction that requires the illegal export of any products and will not assist directly or indirectly with the illegal export or re-export of any products. Since all of the items listed on this web site may require a license, depending upon the specific item(s), value of the item(s), country of ultimate destination, end user and end use, Tactical Advantage, Inc. does not authorize any customer to export any of our products outside the United States or re-export from any APO/DPO/FPO location. As a matter of company policy Tactical Advantage, Inc. does not, directly or indirectly, offer any of our products for export, with the exception of products that do not require a license being shipped to U.S. personnel stationed at APO/DPO/FPO locations. Refer to the "Export Resrictions to APO/DPO/FPO Locations" section below for additional details. (II) the Buyer does not intend export, transfer, sell, or furnish (see ITAR § 120.17) the item to any foreign person, whether abroad or in the U.S., including any Foreign Embassy in the U.S. (a foreign person under the ITAR § 120.16 means "any natural person who is not a protected individual as defined by 8 U.S.C. 1324b(a)(3). It also means any foreign corporation, business association, partnership, trust, society or any other entity or group that is not incorporated or organized to do business in the United States, as well as international organizations, foreign governments and any agency or subdivision of foreign governments (e.g diplomatic missions). Export control laws are complex and it is the buyers responsibility to familiarize themselves with any applicable U.S. export laws and regulations. Any summaries of such laws and regulations provided by Tactical Advantage, Inc. herein are not comprehensive and are not to be taken as legal advice or counseling. While we proudly support the Members of the US Military deployed around the world and believe that it is our unique privilege to service their needs, we must fully comply with the United States Export Control Laws and Regulations. Under these Laws and Regulations we are obligated to treat any shipment to an APO/FPO that is physically located outside of the United States as an Export, regardless of your military service status, rank, etc. This means that all Export Restrictions will apply. Any item listed on this web site that falls under an EAR or ITAR export control is clearly marked as - EXPORT RESTRICTED - and not eligible for APO/DPO/FPO shipment. Please note, that we will not be able to ship you any products which are included on the Commerce Control List or United States Munitions List (USML) in accordance with the International Traffic in Arms Regulations (ITAR), Title 22, Code of Federal Regulations Part 120-130. We regret any inconvenience such restrictions may cause you. We offer $7.50 FLAT RATE Priority Mail for CONUS/AK/HI shipments up to 5 lbs & APO/DPO/FPO shipments up to 10 lbs. APO/DPO/FPO shipments over 10 lbs have their own Priority Mail rate schedule based on weight viewable during checkout. Expedited shipping is available for all in-stock items. 3-Day Air, 2nd Day Air and Next Day Air services are viewable during checkout and rates are based on weight and shipping destination. USPS Domestic (parcels under 5 lbs) - Priority Mail is our standard method (1 - 3 day average time in transit). Next Day Express Mail available. USPS APO/DPO/FPO (all parcels up to 60 lbs) - Priority Mail is our standard method (7 - 12 day average OCONUS time in transit). No Express Service available. FedEx/UPS Domestic (parcels over 5 lbs) - Ground is our standard method (1 - 5 day average time in transit). 3 Day, 2nd Day and Next Day Air available. Please note we only accept payment from U.S. buyers. 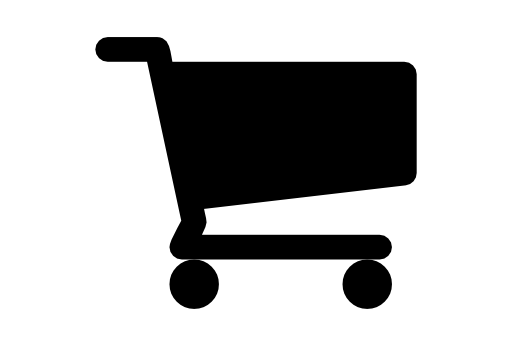 Our shopping cart checkout will only accept payment from U.S. based credit card and Paypal account holders. Paypal (Paypal billing address must be in "Confirmed" status. If your order contains items marked as EXPORT RESTRICTED your Payal account ID must also be in "Verified" status). Returns for exchange or credit are accepted within 10 days after order receipt. The buyer is responsible for all return shipping charges and any additional shipping charges for the re-shipment of exchanged item(s). All returns must be in new, unused condition with original packaging and tags attached. No returns on medical supplies or body armor. All sales on closeout, special order and drop ship products are final. All of the products we carry are new, current production goods and are therefore covered by the manufacturer's respective warranties. In the event of a defective product, we will facilitate the replacement of defective merchandise with the manufacturer on your behalf. We are very knowledgeable regarding the gear we offer, if you have any questions please contact us prior to placing your order. Additionally, if you have questions regarding your gear after you've received it please contact us as well. You must contact us for a return authorization prior to shipping any product(s) back to us. All returns may incur a 10% restocking fee. Unauthorized returns will incur a 20% restocking fee. RFP/RFQ's and RFI's are welcomed from all federal, state and local law enforcement agencies throughout the United States and all US military units throughout the globe. Tactical Advantage, Inc. is a CCR registered women owned, minority owned, small business. We proudly ship to all APO/DPO/FPO stationed U.S. personnel with the exception of items on this web site marked as - EXPORT RESTRICTED -. Tactical Advantage does not currently ship to or accept payment from any foreign buyer (a foreign person under the ITAR § 120.16 means "any natural person who is not a lawful permanent resident as defined by 8 U.S.C. § 1101(a)(20) or who is not a protected individual as defined by 8 U.S.C. § 1324b(a)(3)," and can mean "any foreign corporation, business association, trust, society, or any other entity or group that is not incorporated or organized to do business in the U.S., as well as international organizations, foreign governments, and any agency or subdivisions of government (e.g. diplomatic missions)" (See ITAR § 120.16)). In 2015, due to limited availability of qualified staff, Tactical Advantage reached the decision to discontinue our training programs, high risk personal protection and physical site security services offerings. We continue to offer consulting based services in the areas of personal protection, threat mitigation and physical site security.